Kallidus' mission is to make compliance training as easy and enjoyable as possible. All whilst knowing and propagating that this starts with having a user-friendly Learning Management System (LMS). The real question, when it comes to educating and engaging your employees, is: How do we educate and engage our employees? It is up to you, due to your legal, financial and ethical responsibility to get compliance training right to make sure that you facilitate your employees adequately, using a platform or tool which works equally as efficient over several departments. From the L&D department to the managers who have greater visibility of the actual learning completed through reporting dashboards that reduce the need for man-hours to keep track of compliance, there needs to be a user-friendly LMS in place to grant increased flexibility of learning across the entire workforce. 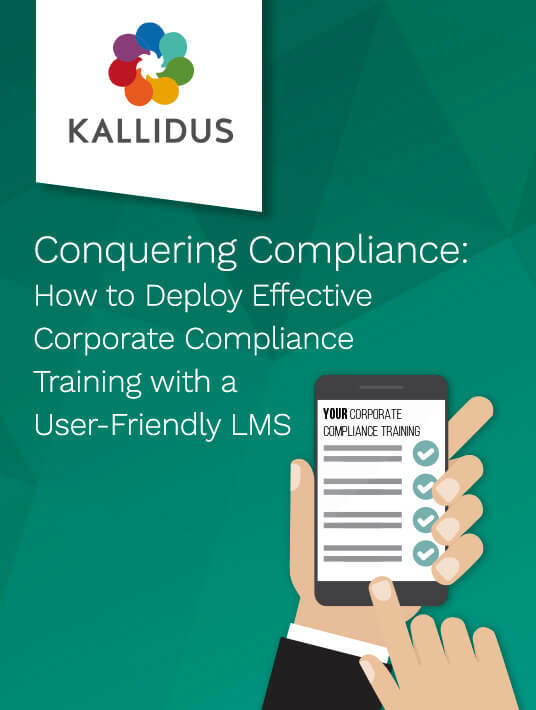 In the free eBook Conquering Compliance: How to Deploy Effective Corporate Compliance Training with a User-Friendly LMS, Kallidus does exactly that. Better compliance measurement leads to better compliance management. You could suppose that compliance consists of a certain cycle. Unfortunately, there is no "compliance button" which magically installs all the necessary information, procedures and behavior. It takes a considerate amount of time, organization and practice to make sure that compliance is actually being practiced. An unpleasant way to find out that is not being practiced properly is when you discover that compliance has been mismanaged. Often with severe consequences and when it's too late. When the only strategy left to be applied is that of damage control. To prevent the activation of "Action Damage Control", you need to be well prepared. Prepare well now, so you don't pay the price later. There is a very well-known psychological model which elaborates on the 4 stages of learning and becoming competent in certain skills. The four stages consist of Unconscious Incompetence, Conscious Incompetence, Conscious Competence, and Unconscious Competence. In the act of compliance training, your entire workforce will most likely have to pass through these 4 phases. It is super important to realize that these phases exist for the plain reason that the Unconscious Incompetence phase most likely will invoke some kind of resistance in a potential candidate who doesn't consider compliance to be of any value at all. Just telling your employees that they have to comply, will not make any difference. It will evoke an adverse effect. An important aspect here is trying to show everyone, what the value of compliance is, as well as the results of not complying; in a way that they comprehend and eventually agree. One could say that showing the value of compliance is the most important step. After someone realizes the value, they will be much more inclined to participate. In addition, information will be better retained, and engagement will reach all-time high levels. So what if your current system doesn’t contain all of the abovementioned points? You guessed it; Kallidus offers exactly that. After making sure you have the perfect framework set up, a very clear strategy needs to be defined before it is applied. You can't randomly start doing and teaching. Proper thought needs to be embedded into the goals, as in anything else in life. Unclear, fuzzy or faulty goal formulation will lead to inadequate, dissatisfactory and disillusioned attainment. After reading this eBook, or through unpleasant noncompliance results, you might start thinking that compliance training topics need to be readjusted, or that the entire compliance training needs to be redefined. Depending on the information at hand, it might be better to start from scratch, so you can slowly work your way towards "unconscious competence". 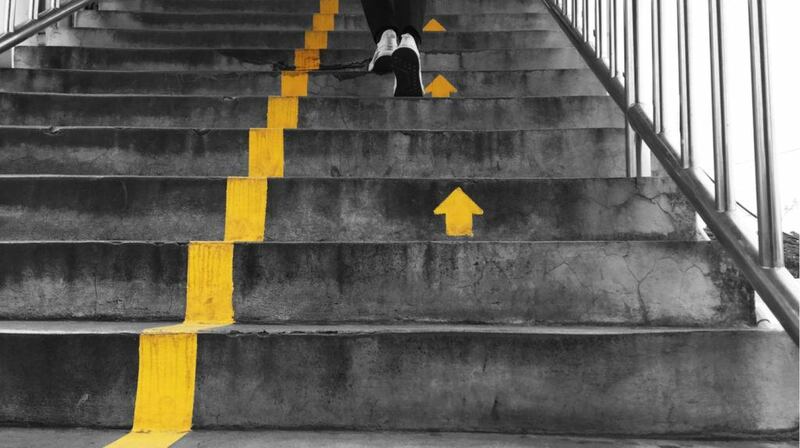 At stage four of this eBook, Kallidus dives deep into the nitty-gritty of how to align your strategy with existing goals and departments. This way you can follow all phases of working towards a user-friendly Learning Management System (LMS) which quintessentially is focused on engaging employees in a fun and enjoyable manner. Here you are presented with yet another checklist to ensure you are getting the best out of your current compliance training strategy. It is at this moment when you realize you are set for a very difficult task: fitting this necessary and obligatory knowledge into tight work schedules where you have to keep in account the different learning strategies, all whilst making sure you increase employees' motivation to their fullest extent and making sure they learn to love compliance as much as their "soft skill" training. You will learn everything your current program needs to contain. From mobile design responsiveness to bite-sized modules, from optimized UX to the power of storytelling, gamification and the use of video and animation. Ultimately how to create a breathing digital organism that is designed for multiple devices and for the delivery of bite-sized learning, guaranteeing that your online learners have the freedom to fit their learning around their personal work schedules which will help to boost completion rates. Regardless of someone's learning preference, personal learning goals, motivation or eagerness to participate, one is only as good as their teacher. Especially because the lesson is obligatory and the online training content can be quite tough. It is in your best interest to facilitate an outstanding infrastructure via a learning platform which works in an enabling manner, removing all inconsistencies and insecurities. The better your system, the better the result. The incredible value of running a successful compliance training strategy establishes circumstantial long-term profit. If you are eager to find out what you are possibly missing and learn of some great advice on how to become better, then the free eBook Conquering Compliance: How To Deploy Effective Corporate Compliance Training With A User-Friendly LMS is a perfect place to start. The art of prevention lies in good preparation.